…always get me down…(as the lovely Karen Carpenter famously sang). Today it is both raining and a Monday…the worst of all. However, I’m determined that being stuck inside will not be a chore and will use this enforced time indoors to get on with some ‘making’. Last week, I didn’t get much done as I had a few projects to get on with in the garden. 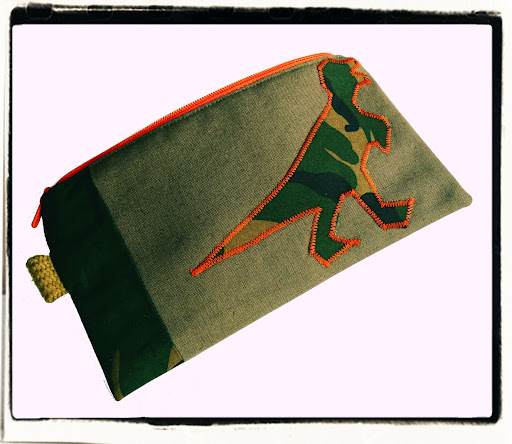 I did however have a play around with a dinosaur applique design & pencil case, using green camo fabric as a trim, lining and the applique T-Rex, a little keyring tab and contrast orange zip & stitching. 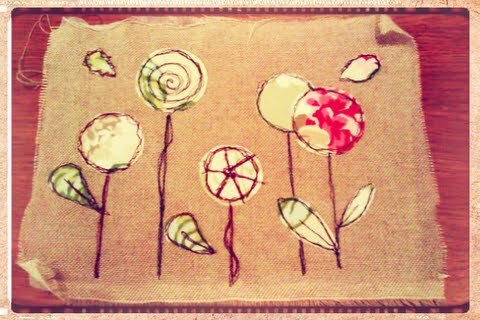 …and I’ve discovered a new obsession: ‘free-motion machine embroidery’. 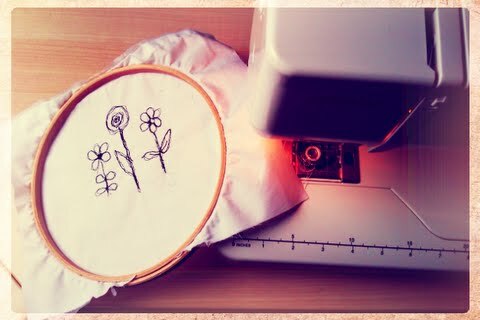 It’s basically sketching on fabric using the machine. A bit random and messy and quite odd to get to grips with, but fun to do and I quite like the results. Here are my very basic, first attempts, so nothing special…but everyone has to start somewhere, right? !